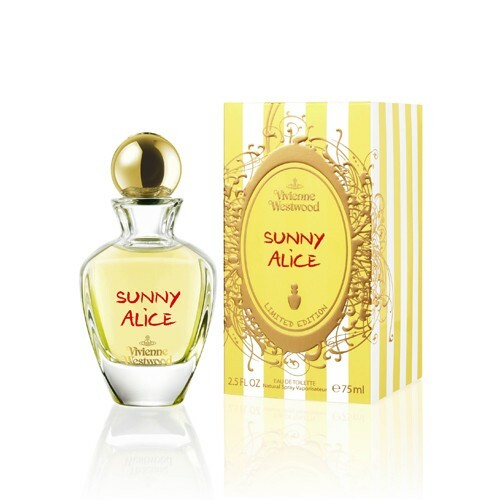 Edgy fashion designer Vivienne Westwood presents her new fragrance Sunny Alice, which belongs to the collection inspired by Alice in Wonderland. The collection consists of the following editions: Naughty Alice from 2010, Cheeky Alice from 2011 and Flirty Alice from 2013. Sunny Alice evokes holidays spent along the coast. The composition opens with sunny accords of mandarin and pink pepper with a hint of sea breeze. Its delicate floral heart consists of frangipani and jasmine Sambac, while the base notes include amber, sandalwood and vanilla. It is recommended for daytime wear.